Web Development is one of the fastest growing domains in IT industry and thus there are a number companies opening everyday looking forward to the great scope it has. But delivering a quality project with economy of time and money is the matter of expertise. Innverse, with a rich industry experience of more than 10 years, delivers quality web-development services for its clients across the world. With highly experienced and dedicated professionals, Team Innverse offers best quality and cost effective web services employing latest tools and techniques. Innverse follows all the norms & standards of W3C and other guidelines to produce the best results. Making a website attractive and user friendly so that it can retain users, is not an easy task. Innverse has a very dedicated and experienced team of Web Designers, Creative Artist and Web Developers to make the website attractive and user friendly. Web portals designed by Innverse, not only follow all the latest standards but are also search engine friendly, which enables the website to get users from various search engines as well. 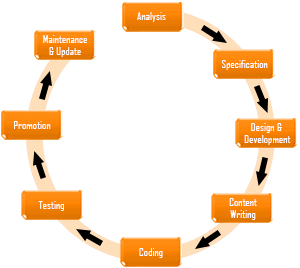 On the basis of our excellence and ample customized web portal development, we are different from typical web-development companies. We have built a reputation, for creating a lot of Websites/portals for our Offshore as well Corporate Clients. We would like to share our process of working and approach to the services we provide. We do not develop websites just as a task; we try to build online image of your company. A website is the face of any corporate or business house online because a person who has not visited the company ever only visualizes the company’s worth by looking at the portal of the company. So having a very impressive website for any business or corporate is mandatory. We understand the market and its trends so we always try to develop the website with creativity and innovation to make it best in the market. The website in its true sense is like a virtual showroom and the benefits of having an impressive showroom need no explanation. Our professional web-development services enable small / medium and large Businesses to extend their reach to the new heights and market their products around the world through web.